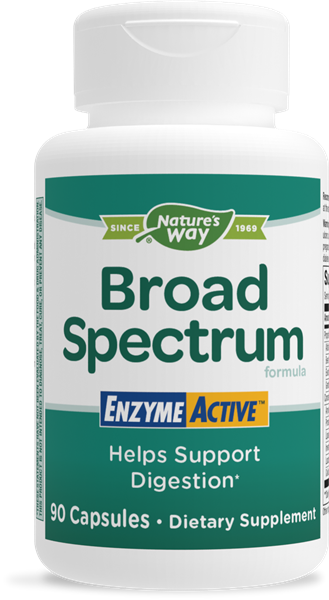 Broad Spectrum Enzyme / 90 Caps - Nature's Way®. Take 2 capsules three times daily at the start of each meal. Caution: Do not use if you have stomach irritation, inflammation, and stomach or duodenal ulcers. If pregnant, nursing, or have high blood pressure, or are taking any medications, consult a healthcare professional before use.